The queues show Riley’s Fish Shack is one of the most popular restaurants in the North East, but now this humble little metal hut on King Edward’s Bay in Tynemouth is gaining international fame. Riley’s has been nominated for the Off-Map Destination of the Year at the World Restaurant Awards which will take place in Paris in February. It’s the first year for the awards which were created by events, media and fashion company IMG to celebrate the world’s best eateries. 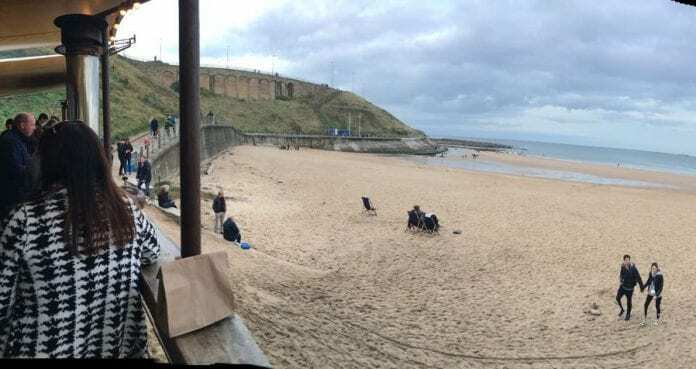 The trophies will be handed out in a formal ceremony in Paris on February 18, where Riley’s Fish Shack will be hoping to put Tynemouth on the map, in the Big Plates section. To do so the restaurant will have to fight off competition from Austria’s Bootshaus, Mil in Peru, Tokuyamazushi in Shiga, Japan and South Africa’s Wolfgat. After starting life as a street food vendor touring events, Riley’s Fish Shack moved into its current, very scenic home on King Edward’s Bay in 2015. In the few years the restaurant has been open, there have been no shortage of accolades, the most recent being inclusion in the Good Food Guide’s Best Restaurants in the North East for 2019. On a local level the Newcastle Evening Chronicle gave Riley’s Fish Shack a five star rating, but the restaurant has also impressed national critics. Even the notoriously hard to please Jay Rayner gushed about the food, saying in the Observer that he had found the ‘eating experience of the year’. The restaurant was also showcased in Channel 4’s Hidden Restaurants after it was visited by Michel Roux Jr. The Riley’s crew were clearly overjoyed to be up for the award writing on their Facebook page: “We honestly didn’t think we would be shortlisted & we’re over the moon at the email we just received. “We can only thank the gorgeous team we have at Riley’s & the delightful customers who continue to baffle us with kindness! Owned by Adam and Lucy Riley, the restaurant is really two shipping containers fused together with the sides opened up to form a terrace. The mixture of the open fires used to grill the fish, with the metal and dark wood interior gives the place a rustic almost fantastical feel, and its position nestled away on the beach below Tynemouth Priory is picture perfect. 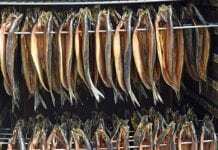 The menu changes seasonally and is based on fresh, local fish accompanied with sides such as home-made flatbreads, crisp herby potatoes and deliciously flavoured salads. Get along and try it and see what all the hype is about!